. :Stockton Decorators Merchants Ltd - Tools page :. We stock a vast selection of tools and sundries from all the leading suppliers listed below. Stockton Decorators are not responsible for external website content. 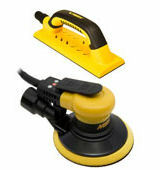 The Wooster Brush Company are a supplier of top quality decorating products. Paint brushes, rollers, mini rollers, buckets and trays are all of an exceptional standard. Good stocks of these products are carried in all three of our branches. ProDec is the UK’s most widely distributed trade decorating accessories brand and offers the complete solution for virtually all decorating jobs from start to finish. From brushes to rollers, dust sheets to tools, tapes to abrasives and much more. Without craft, every room, wall and brush stroke would just be mediocre. It's what separates the exceptional from the status quo. Craft has inspired us to build the best handmade paint brushes for more than 80 years.